One of the most common questions I'm asked as a vegan is, "where do you get your XYZ..?" Whether it's protein, calcium or a variety of vitamins and minerals, we're able to get everything our bodies need to thrive on a well-planned vegan diet. However, like many people (vegan and otherwise), I like to supplement my diet with a multivitamin to ensure I'm getting everything I need to stay healthy and happy, especially as we edge towards cold and flu season. Since March of this year I've been taking Veg-Vit by Vegetology which is a multi-vitamin and mineral tablet. 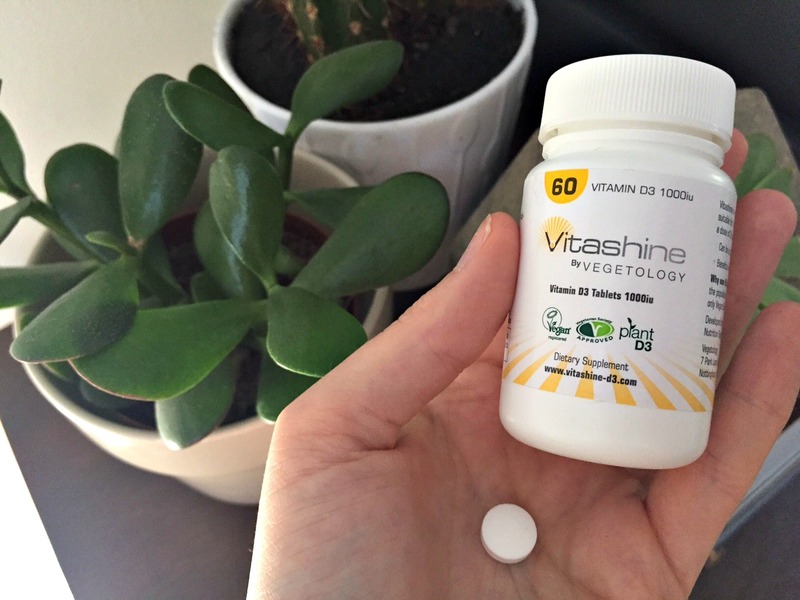 I've done a lot of research into supplements, and the Vegetology products consistently proved to be the best value for money whilst providing the highest quantity of all of the essential vitamins and minerals (and then-some.) It's hard to tell whether a multi-vitamin is actually doing anything. I don't feel instantly incredible after I've taken it, but I do find that, on the days where I forget to take it, I feel a little more sluggish and struggle to concentrate in the afternoons. 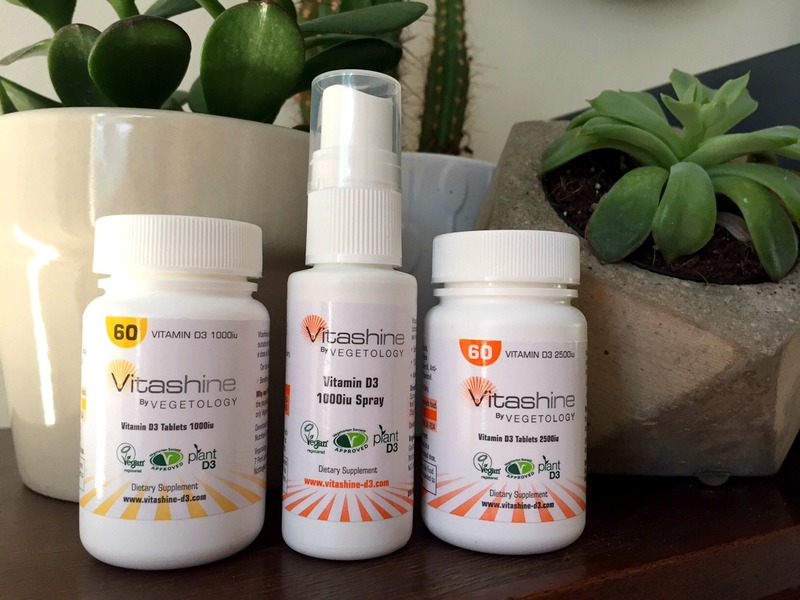 I was recently sent another of Vegetology's range to try, the company's Vitashine D3 supplement. The folks at Vegetology (which is listed by the Vegan Lifestyle Association) very kindly sent me the whole range of D3 products they offer, which I've been trying out since I got back from holiday last week. Vitamin D is an essential nutrient which is found in animal products such as oily fish and egg yolk. Some cereals are also 'fortified' with Vitamin D which is generally derived from the lanolin in sheep's wool, making it unsuitable for vegans (I'm looking at you, Kelloggs *shakes fist*). Our bodies also make their own Vitamin D with the help of sunlight, around 30 minutes of unfiltered sun exposure per day during the winter months is recommended. Whilst this might not sound like much, a recent survey in the UK found that more than half of the adult population has insufficient levels of Vitamin D, and 1 in 6 people will suffer from a severe deficiency during the winter months. One of the main functions of Vitamin D is to aid the absorption of calcium and phosphorus from our food into the body, and it may also help to prevent diseases such as cancer, diabetes and heart disease. Vitamin D comes in two forms; Vitamin D2 and Vitamin D3. 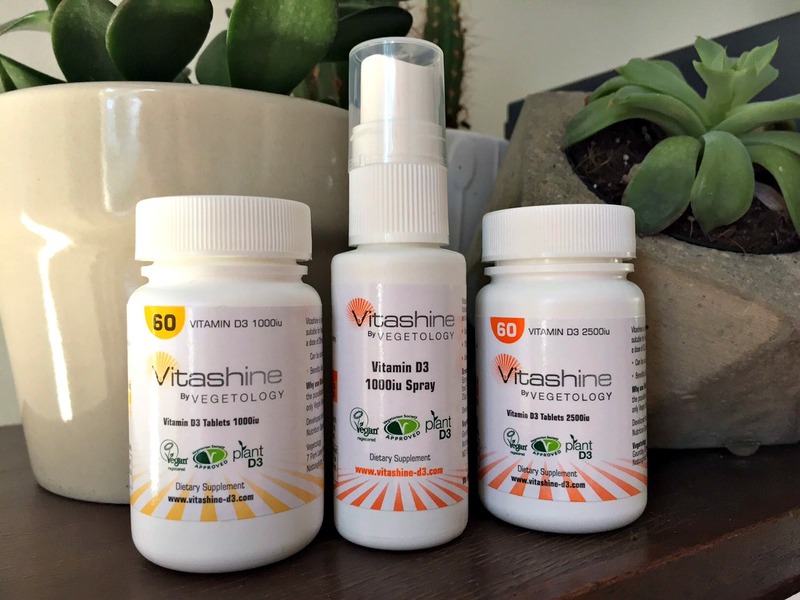 Generally, D3 is thought to be the more superior of the two - there's loads of evidence on the Vegetology website if you're interested in reading up on the differences between these two forms of Vitamin D.
Vitashine comes in three different varieties; a 1,000iu tablet (£10.49), a 2,500iu tablet (£11.49) and a spray (£9.98). The variety of dosage allows you to tailor your supplementation to get the right amount of vitamin D3 for your circumstances (for example, pregnant women, housebound people and people with dark skin generally need a higher dose of the vitamin than others). I was surprised to read that Vitashine is the only form of plant-based D3 registered with the Vegan Society, as most other D3 supplements which claim to be vegan-friendly are actually lanolin derived or only contain D2! Vitashine is extracted from moss-like plants called lichen which have been proven to contain high levels of D3. The spray was the first of the products I tried, simply for the novelty factor! Many people find that taking D3 in a spray formula allows the product to be absorbed more quickly by the body than a traditional tablet. The spray is also a small 20ml bottle so it would be perfect for travelling. I took five sprays to get the maximum dosage of 1,000iu. The spray was not unpleasant to taste, but it does have an oiliness to it. You can spray this on to food which would probably mask that texture if you want to give this to children or fussy people, but I found it tolerable. You can even spray this on your pet's food to give them a D3 boost! Taking the maximum recommended dosage of five sprays per day, this product will last for a month. The following day I took one of the 1,000iu tablets. The tablets can be swallowed, chewed or sucked which is perfect if you have trouble taking pills. They aren't tiny, but the small, round pills are probably slightly smaller than a traditional paracetamol tablet, to give you an idea. I decided to chew the tablet and found it tasted a little bit like those candy necklaces you used to get as a kid! Definitely more pleasant than the spray. You get 60 tablets in the bottle, meaning they'll last for two months if you remember to take one every day. 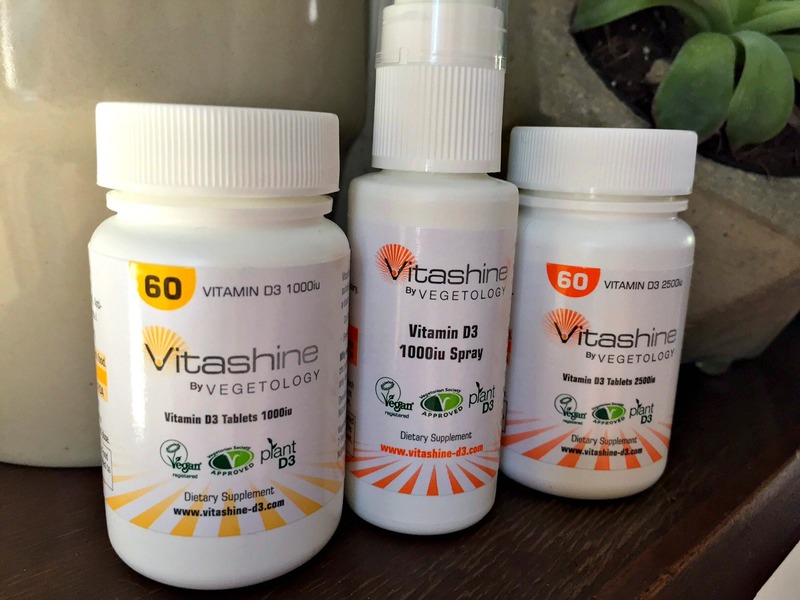 Overall, I was really impressed with the Vitashine range and will definitely continue to use it to keep my Vitamin D levels topped up throughout the winter. The Vegetology products are excellent value for money, trustworthy and superior quality to many of the other, cheaper brands on the market. You can find out more about Vegetology here, and Vegan Lifestyle Association members can get 5% off by signing up (for free!) here. Please note: This review has been organised by the Vegan Lifestyle Association. It has not been paid for and the products were sent free of charge. This is my genuine and unbiased review of the product. Bibliography - Paul, Steve. 2018. “Vitamin D3 Testosterone: Benefits, Dosage & Side Effects Guide.” Testosteroneofficial.Com Ie. Testosterone Official. September 5. https://testosteroneofficial.com/research/vitamin-d3/. Practice yoga as often as possible in order to lose weight. You can do a more active, intense practice at least three to five times per week for at least one hour. For more information, don't forget to visit aeginaneedtoloseweight.com. Got something to say? Leave me a comment! 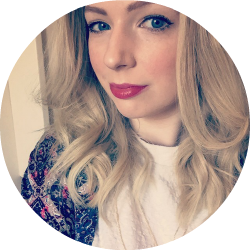 © Tea on the Tyne | Vegan and Cruelty Free in the North East | All rights reserved.